Fix your seating issues with this blue stacking Plastic. It is light weight and has a sled base for ease of storing. This chair also features a curved back for added comfort. Have a look at our lightly used selection. of blue hard plastic curved back stacking chair. 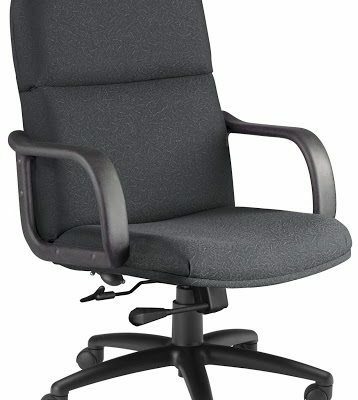 Save tons of money buying used stacking chairs at Office Liquidation. 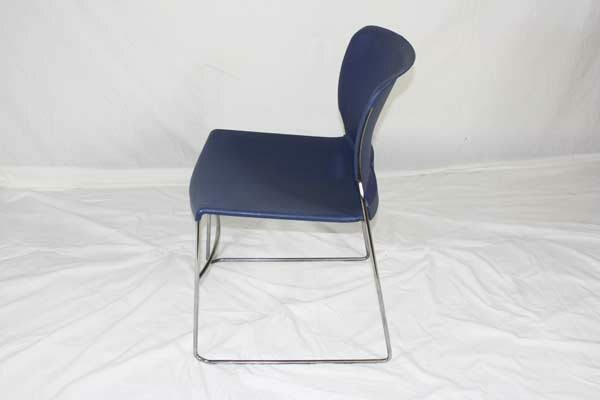 Looking for a used blue hard plastic curved back stacking chair in Orlando? 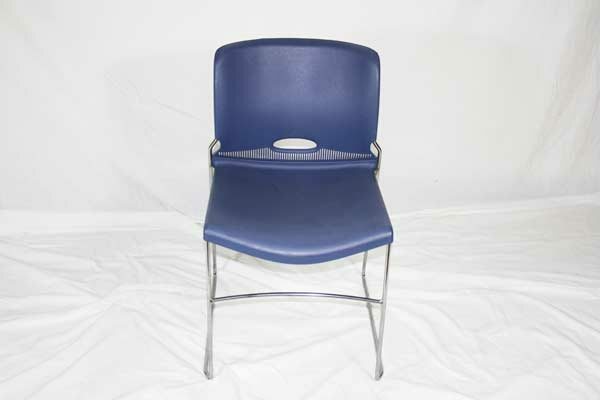 We have affordable pre-owned VNS curved back stacking chairs, in blue hard plastic, available at our air conditioned showroom. We are your used stacking chair furniture supplier! 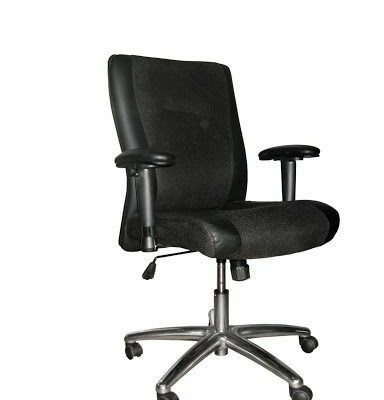 VNS Stacking Chair office furniture delivery and set up available in Florida and beyond. Office Liquidation is your affordable office furniture supplier for affordable pre-owned curved back stacking chairs.